HOLD THE BREAD, NO LONGER! NEW! FRESH BAKED LOW CARB BREAD! FRESH BAKED& READY-TO-EATLOW CARB BREAD! 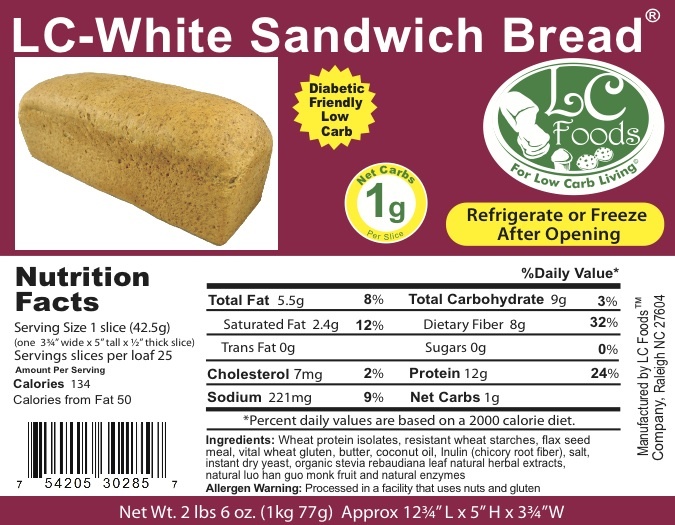 If you are not familiar with LC Foods, they are a company based out of Raleigh, NC which produces fantastic low carb food options, with a majority of them being for baking including breads, cakes, muffins and pasta. Up until this point, LC Foods has made a name for itself in baking mixes, which require you to follow directions, do the mixing, rising, baking and cleaning up at home. 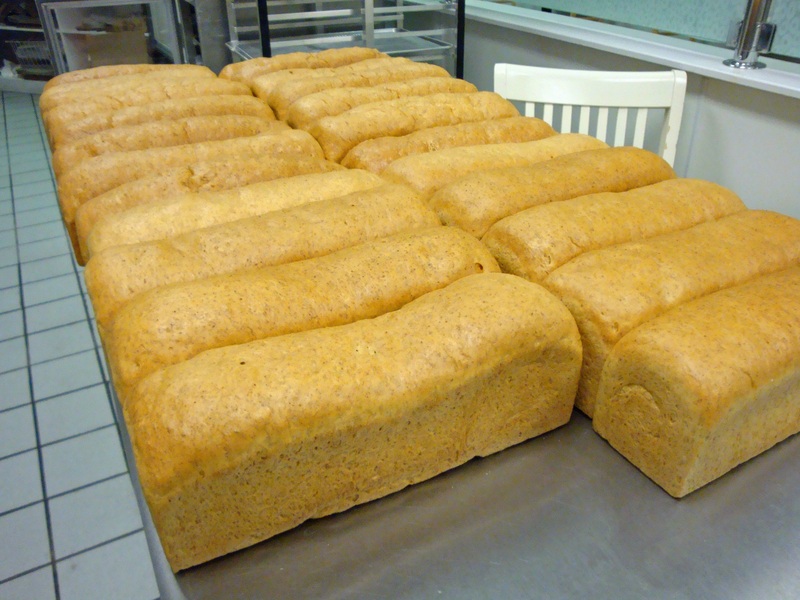 While this process can be rewarding, it can be time-consuming, so LC Foods decided to listen to their customers and partner with a local baker to produce small batch, fresh baked bread, using their formula and the response has been incredible, selling out in their first few weeks of launch. This Fresh Baked Low Carb Bread is ready to eat! It has never been frozen and will ship to you fresh the same day it is baked, in a proprietary designed freshness bag. 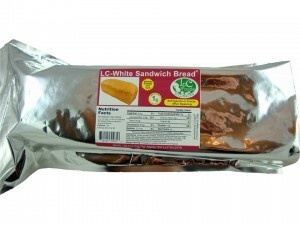 This special bag is also re-sealable, so the bread can be frozen with ease. 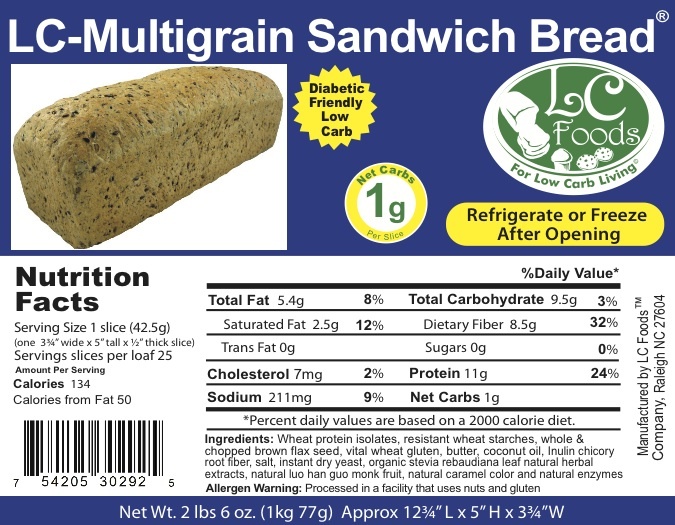 This bread is based in rich protein, fiber and saturated fats feeding the body good nutrition. It is void of most carbohydrate starches and sugars which researchers show lead to a number of illnesses including type 2 diabetes and other obesity related illnesses. This bread is not made with junky nutritionally void white flour that adds no significant nutritional value to the body. Their new bread is a double loaf at 13” long and weighing 2.5 lbs and you will get 25 hearty 1/2″ slices out of each loaf. But the best part of this bread is the nutrition! Each slice is packed with 12g of protein and 8g of fiber and only has 1 net carb! Now you can have a sandwich, grilled cheese, patty melt, or just a piece of toast with melted butter! LC Foods also has a great line of Natural Low Carb Preserves which pairs perfectly! Need some convincing? Here are some reviews from customers that have purchased the bread. Sometimes I just can’t be asked to bake. I love LC Foods white bread flour and have used it for a while now with great success, but I admit it, I’m lazy and LOVE the fact that they now offer a loaf. And what a loaf! This thing is huge and tasty! Makes great toast and the best grilled cheese. 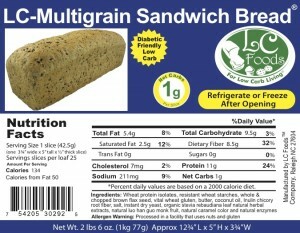 Hands down the best LC bread I’ve tried, and believe me, I’ve tried them all!! If I could I would give it 10 stars!!!! I love the taste and texture of this bread. So big too. I will definitely be slicing thin because it’s so filling. I usually order the mix and enjoyed that too… but I don’t have to do the work and tastes even better……..thank you LC FOODS for this new bread. Now I can’t wait to taste the multi-grain. SO EXCITED!!!! YUMMY!!! So good and so much like “real” bread!! Thank you for offering this option, so worth the price!!! Great bread! Not compared to a freshly baked baguette in Paris but to all the other low-carb bread I’ve had. This is the best. I also tested it for blood glucose response and I am happy to report there was no glucose spike – my reading remained constant for 1-½ hours. Thanks LC. This is the absolute best low carb bread ANYWHERE. I have tried them all, nothing even comes close. This is an absolutely amazing product. The taste, texture, appearance is all complete perfection. You can do anything with this bread that you could do with any “regular” white bread. I absolutely love it and I am a tough sell. Perfection in every way. You simply must try it! I’m not saying anything good or bad about the bread, but should if this is a blog post, should you disclose that LC Foods is a sponsor? Where can I purchase these products in Raleigh nc. Unfortunately for me, I cannot eat gluten due to celiac. I just looked at the nutritional information which has several forms of gluten listed. But, this is GREAT for everyone. Good luck to them! $12.00 not including shipping costs, for a loaf of bread is just not doable for me. $12 loaf of bread.? I don’t think so. It’s too expensive for me. Is there a gluten free version of this bread? I’m very excited about finding this website…..I’m wondering if you know, is this bread induction friendly?